In her effort to imitate Mommy she has started stealing my glasses and wearing them herself. 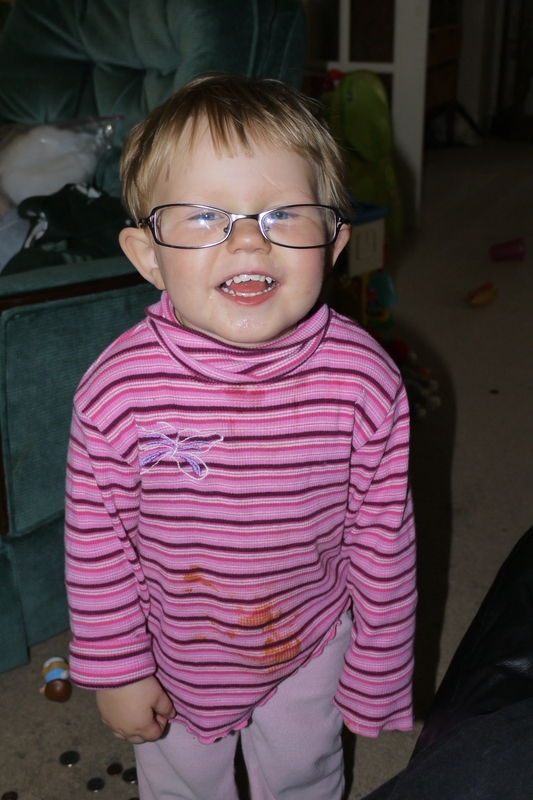 She has most excellent eyesight (one of my first blog posts was all about it) so I don’t really think glasses are in her near future, but if her eyesight suddenly takes a dive, at least she’ll look frakkin’ cute!! !